Women in Astronomy Nepal-WIAN is a special initiative began on November 1, 2015, at Nepal Astronomical Society which aims to act as a forum where women who are doing science or has interest in science can come and explore the possibilities of knowing the universe. 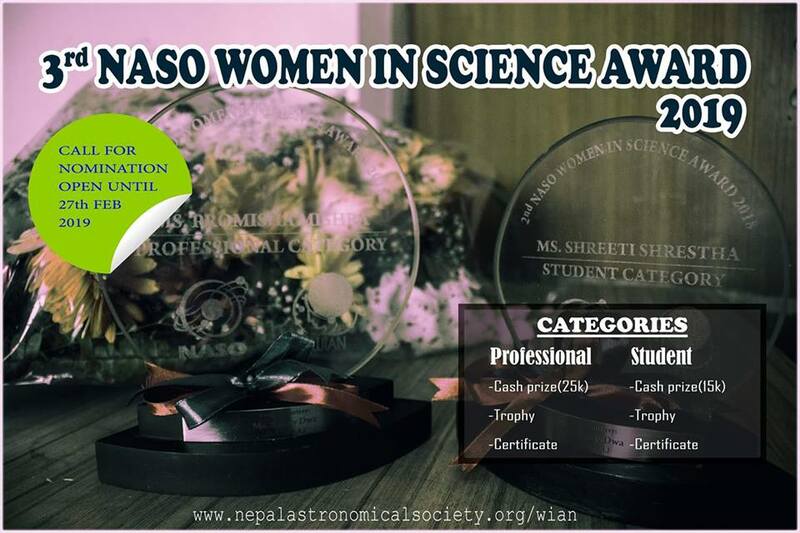 WIAN announces the call for application (self nomination)/ nomination for the Third NASO Women in Science Award 2019. The award will be distributed in two categories: Student and Professional.